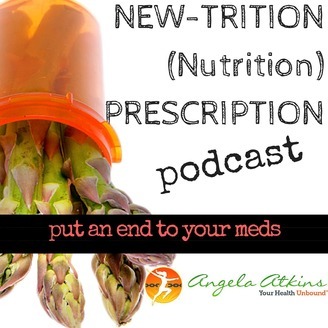 Integrative Health and Nutrition Coach Angela Atkins dishes the dirt on a variety of health topics with a social consciousness flair. She is joined by a variety guests in related fields to discuss the recurring theme of living the new-trition (nutrition) lifestyle. To take advantage of any offers, go to http://yourhealthunbound.com/podcast. 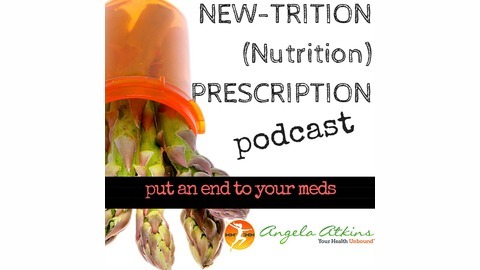 Today's podcast with Kerry Tepedino encompasses many aspects of wellness. Kerry’s approach to health and wellness is incredibly effective as it embraces every aspect of a person’s life, from nutrition all the way to relationships. Kerry is an internationally trained Holistic Health Practitioner, Certified Counselor of Nutrition, and Craniosacral Therapist. Having grown a successful private practice over the past twenty years in Southern California, she has expanded her work to a global market by creating virtual private and group coaching programs, online home study courses, books, and speaking. She focuses on a holistic approach to weight loss, self-love, and mindset mastery. Kerry has been seen on NBC, keynoted at San Diego State University, written for the Huffington Post and much more. Plus, she offers a simple but effective method to begin reshaping the way you think to help achieve the best in life. Kerry is hosting the Women's Health Summit an online interview series that can help you heal your health and put you back in the driver's seat of your life. This is a unique opportunity to get inside the minds of some of the most knowledgeable and successful experts in health and personal development. Sign up to get access to this FREE event by clicking here.